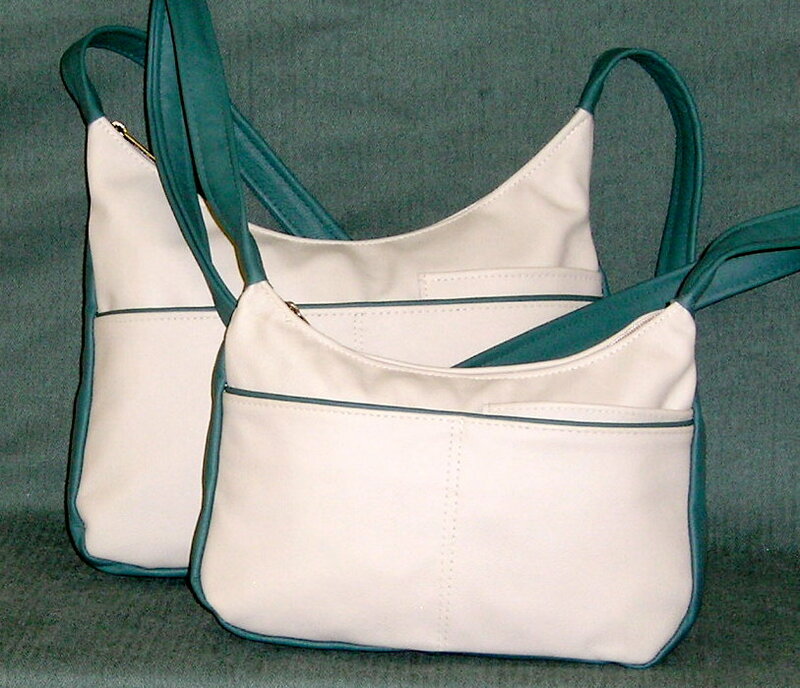 We are happy to announce that we are bringing back the leather handbags that we started our business with 30 years ago. It is upholstery weight and very durable. We are also doing "Recycled Leather" and for the vegetarians we have Vegan / Faux (man made leather) Leather. Very washable and durable. Vegan/Faux Leather is not real leather or recycled leather. This is a nice man made product that looks like leather and will really last a long time. We are now doing "Vegan" Man made Leather or Faux Leather. For those who want a bag that lasts and no animal is harmed in the process. Look for Vegan in the description.